Builder’s Risk Insurance, also known in some areas as Course of Construction, is a unique kind of property insurance. It's a form of insurance, which covers a building where the building or insured area is presently being constructed. It can cover just the structure, or also the materials on site waiting to be installed or transported to the job site and is a type of insurance that most owners will ask every contractor to carry. The builder's risk insurance policy will pay for damages up to the coverage limit. The limit must accurately reflect the total completed value of the structure (all materials and labor costs, excluding land value). The construction budget is the best source for determining the appropriate limit of insurance. Builder’s Risk insurance policies can often be written in terms of three months, six months, or 12 months. If the project is not completed by the end of the initial policy term, it can often be extended, but usually only one time. An important exclusion which should be read in its entirety excludes coverage for damage resulting from faulty: design, planning, workmanship, and materials. These type of issues might be addressed by Professional liability rather than a Builder's risk. Earthquake and flood coverage may be purchased in some areas. 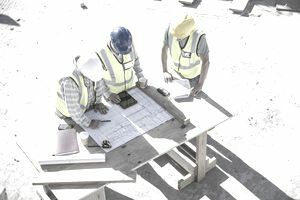 This policy will be in the range of one to four percent of the construction cost, but it will depend on the type of coverage and exclusions that the policy will have. The importance of having a solid insurance company is that they will expedite your claims and will help you solve any potential claims during the construction process. Some companies can cover the soft costs of the project, but you will need to ask the insurance company to include it in your coverage but be aware that this might increase the cost of your builder's risk. The builder's risk insurance is part of your project's soft costs, and even though it will cost you some money, it is better to have it than not having it when is needed. A coverage extension to protect your property from loss while being transported to the job site. Coverage is extended to apply to scaffolding, construction firms, and temporary structures, but only while they are at a location, you have reported. It does not cover accidents at the job site. Usually, coverage ends when the building is completed or occupied. For specific terms, coverage, and exclusions, the original builder's risk insurance policy will determine the applicable coverage.